Inspire Fitness is an American company founded in 2004 that specialises in manufacturing high-quality strength and fitness equipment. Their products are renowned for their gym-quality, giving you a premium piece of kit to train and get fitter and stronger on at home. 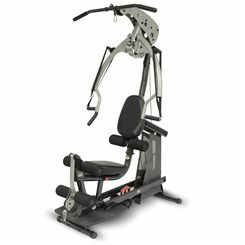 On their multi gyms you’ll find user-friendly and ergonomic designs that make workouts simpler, smoother and more effective, such as easier seat position changes or deeper motion on each exercise. Inspire Fitness multi gyms are built with strong, heavy-duty materials to withstand intense training so you can give your all and have confidence in the equipment. Stability is important for both confident and effective strength workouts, and Inspire Fitness multi gyms are made strong so they don’t rock or wobble. With all the multi gyms in their range giving you a great amount of possible drills and a heavy weight stack, an Inspire Fitness strength trainer will be a top option for getting fitter and stronger quickly at home. 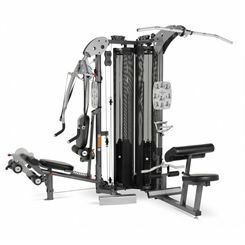 On this page you can see the range of Inspire Fitness machines that we stock and click on the products to find out more about them, watch the product videos and buy your new multi gym.